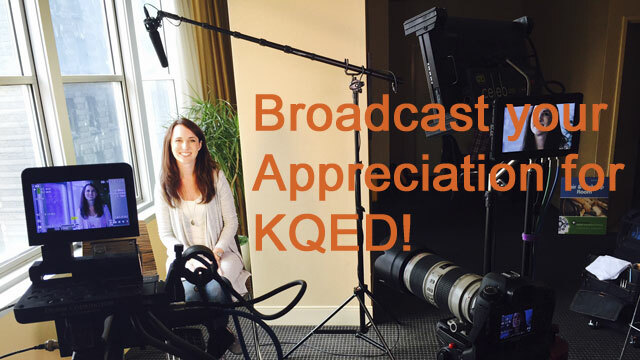 Broadcast Your Appreciation for KQED Education! 2015 local Lead Innovator Amanda Haughs at the PBS LearningMedia Digital Innovator Summit. Want to hear your voice on KQED? Record a short message sharing your name, the subject you teach and how KQED Education and PBS LearningMedia resources like Art School, The Lowdown, Do Now, QUEST and/or our Digital Tools collection have impacted your teaching and learning. Your voice could be featured on air during KQED pledge! Check out the messages below from local teachers Kaki McLaughlin and Amanda Levin then dial 415-553-2140 and share your appreciation! Follow @KQEDEdspace on Twitter and use the hashtag #KQEDLovesTeachers to share this conversation with friends. Nice idea! Great way for teachers to share and collaborate! Jamedra Brown Fleischman is the Social Media & Outreach Specialist for KQED Education. In her spare time she enjoys most things mommyhood, fashion and pop culture.